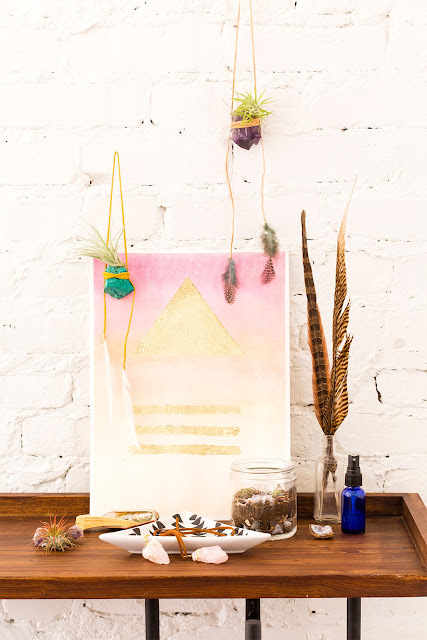 There are just certain DIY projects that make me overflow with joy. This is one of them. 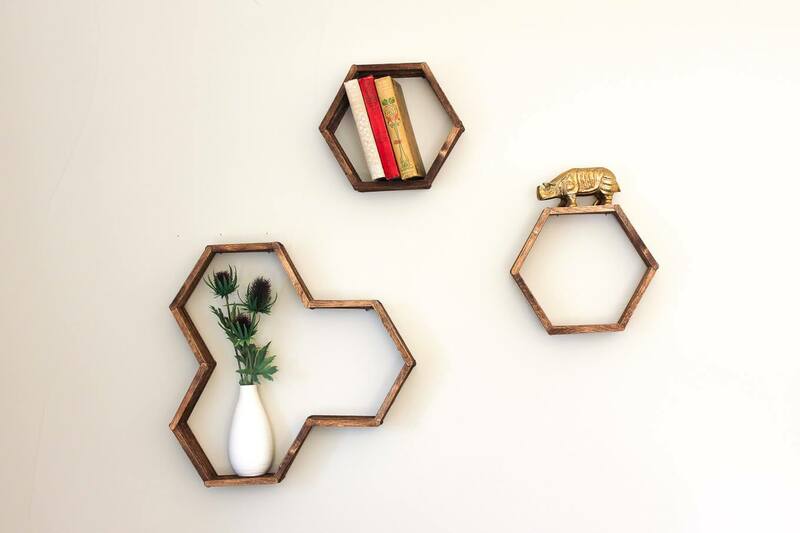 It’s super affordable–like less than $10 for the entire set of honeycomb shelves. 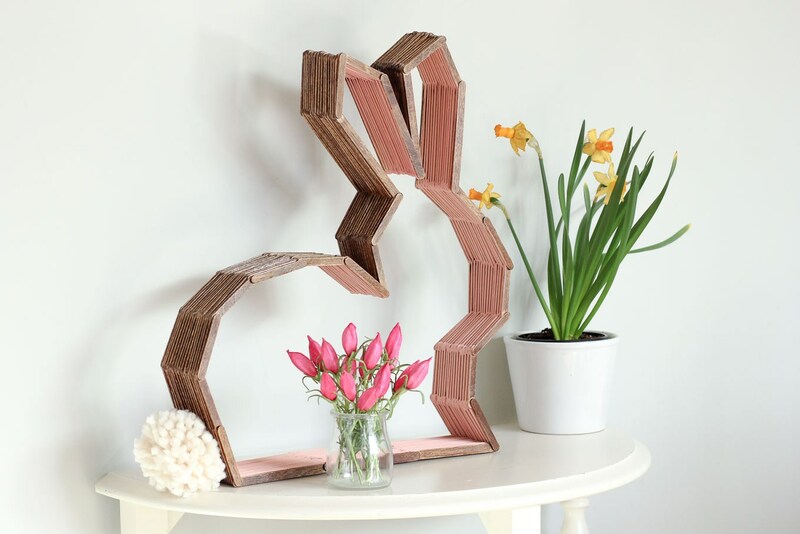 It’s very doable, even for those who don’t sleep with their glue gun next to them at night. And most of all, it just looks freaking awesome and oh so mid-century-modern-Mad-Men-ish up on the wall. Don’t you want an entire wall of these?! Perhaps I’ll make our bedroom into one big wooden honeycomb beehive! Last week, I explained how to make single hexagon shelves. I love how these add dimension and warmth to the wall. Plus, I can change out what is in the them throughout the year. 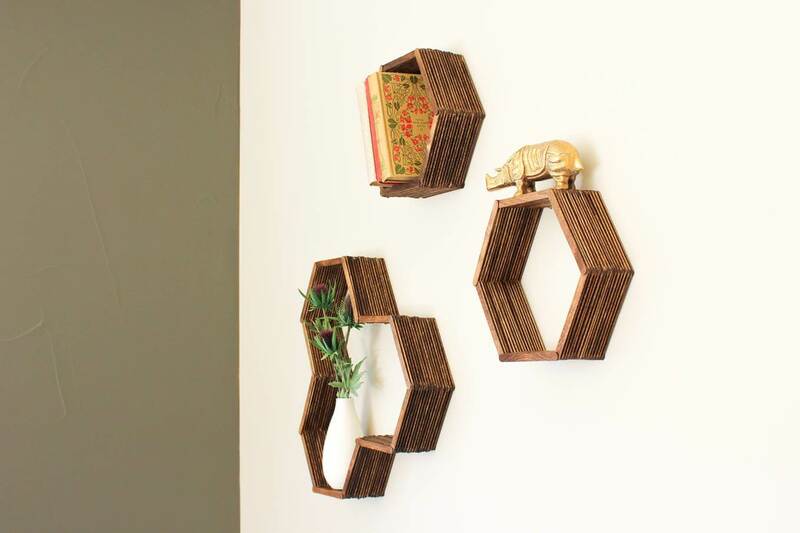 The three part hexagon shelf is simply an extension of this same idea. To me, the combination of the larger shelf and the two smaller ones looks like a perfect little family on the wall. Like with the single hexagon shelf, I found that having a template for this larger one also made it easier to get the angles right with very little effort. 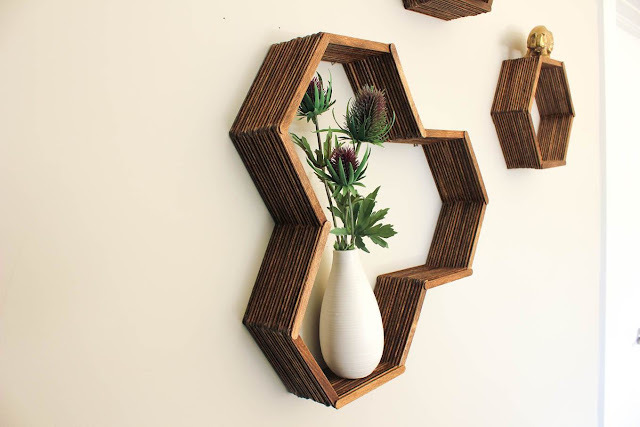 These larger honeycomb shelves actually benefit from a template even more because there are more angles to manage. 1. 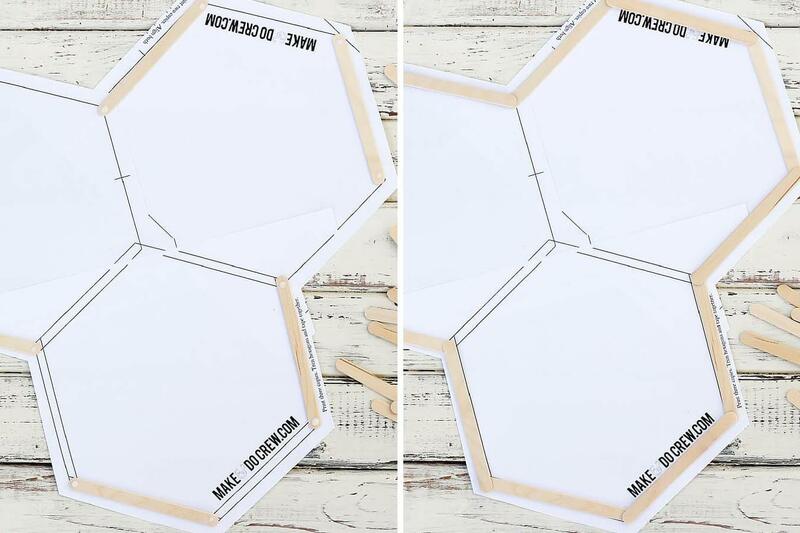 If you’re using the template, print it, trim it and tape it together. 2. Position popsicle sticks as pictured, alternating every other hexagon side. I find it fastest to add a drop of glue to both ends of 3-4 sticks at a time and then lay them in their appropriate position. 3. Add glue to more sticks and use them to make a second layer on top of the first, alternating every other hexagon side. 4. 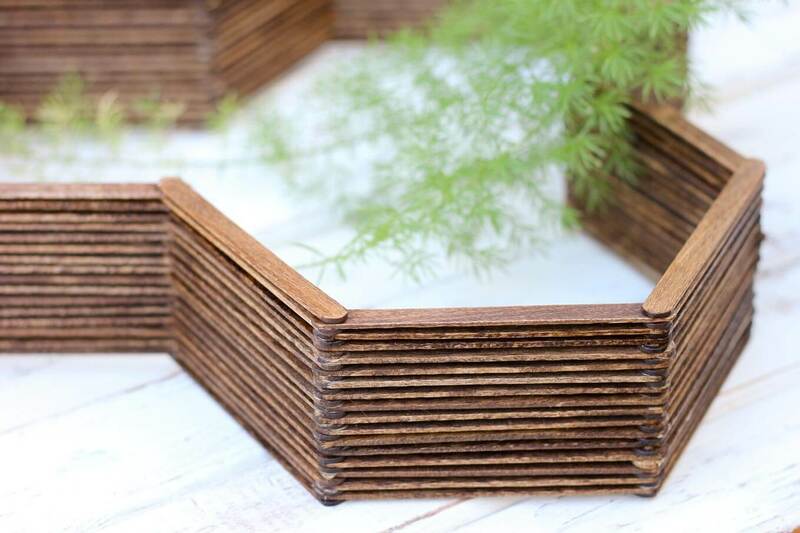 Continue like this until your honeycomb shelf is desired depth. I went about 16 popsicle sticks deep per side. 5. 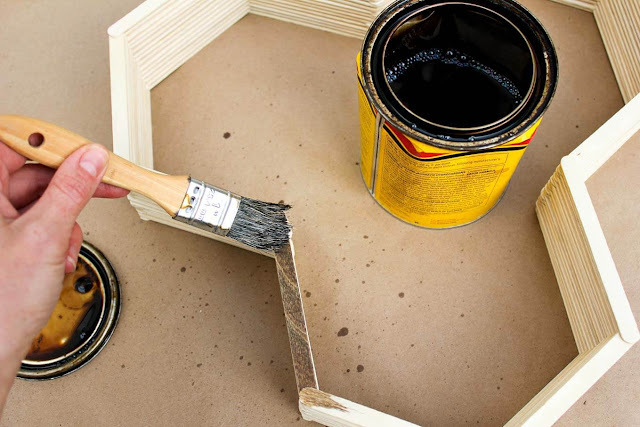 After the glue is dry, use a paintbrush to apply wood stain. Make sure to get stain in between each stick. Let the stain dry. 6. If you’d like, glue a picture hanger on the top side of the top hexagon and the top side of the adjacent, side hexagon. I opted to simply hang two nails in the wall for the upper hex side to rest on and one nail as a counterbalance for the adjacent hex. 7. 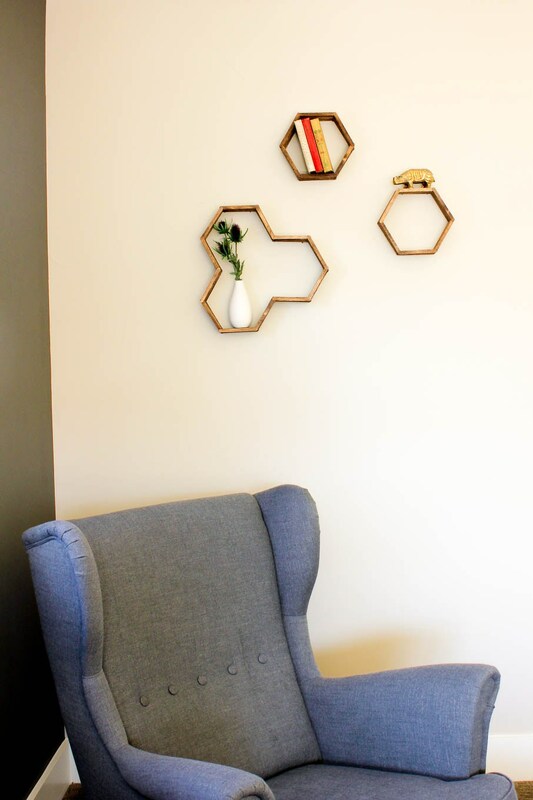 To make a set of friends for your new honeycomb shelf, check out my tutorial for DIY hexagon shelves. 8. 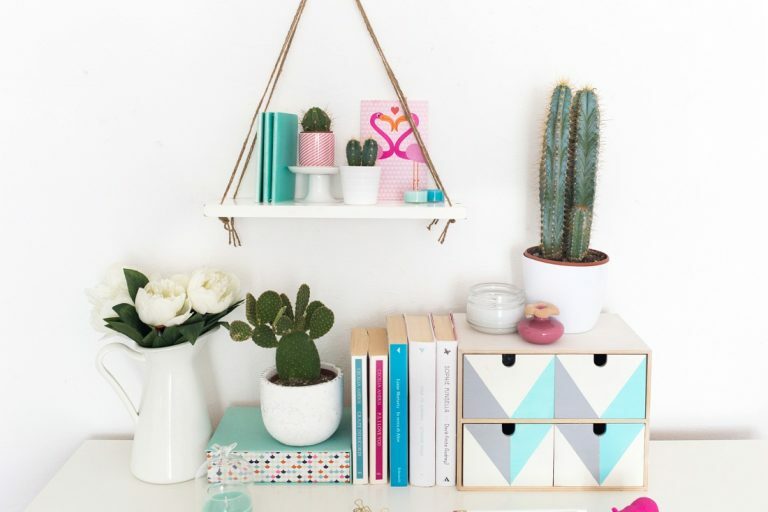 Fill your new DIY shelves with your favorite miniature possessions. Less is more. 9. Sit back, admire and let your third grade self revel in the lowly popsicle stick’s full potential finally actualized.